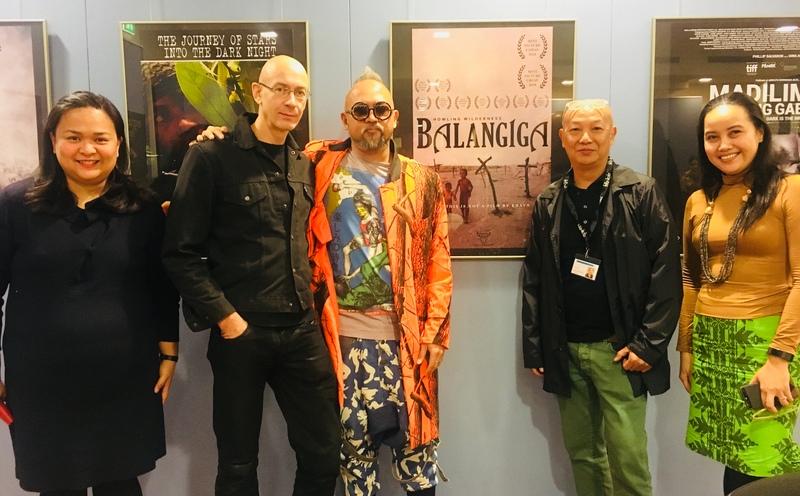 Filipino director Khavn De La Cruz´s (third from left) full length film, “Balingiga” and short film “Juan Tamad” were among the 21 Filipino films screened at this year´s Exground Filmfest. He is joined in this photo by (L-R) Cultural Attache Mylah Rubio, German film programmer and journalist Axel Estein, QCinema International Film Festival Director and Film Development Council of the Philippines´(FDCP) Representative Ed Lejano and First Secretary and Consul Catherine Rose Torres. Twenty-one Philippine cinematic gems, including feature and short films alike, are showing at the Exground Film Festival in Wiesbaden, Germany, which runs from 16 to 25 November 2018 in local theaters in the Hessian capital, with the Philippines as focus country. The 21 films include Balangiga: Howling Wilderness, Buybust, Dark is the Night (Madilim ang Gabi), Manila Skies (Himpapawid), Miracle (Himala), Neomanila, Season of the Devil (Ang Panahon ng Halimaw), The Journey of Stars into the Dark Night (Ang Paglalakbay ng mga Bituin sa Gabing Madilim), Town in a Lake (Matangtubig), Yield, Eternity (Ang Magpakailanman), Maria, From the Dark Depths (Gikan sa Ngitngit nga Kinailadman), Manila Death Squad, Babylon, Jodilerks Dela Cruz- Employee of the Month, Respeto, Man of Pa-Aling (Manong ng Pa-Aling), Shadows (Anino), Margins (Palugid) and Juan Tamad Goes to the Moon(1898). Respeto and Man of Pa-Aling are included in this year‘s competitions, in the International Youth Film and International Shortfilms Competition, respectively. (L) An international audience attended the talk on 100 Years of Philippine Cinema at the Murnau Filmtheater . (R) Panelists included (L-R) QCinema International Film Festival Director Ed Lejano, celebrated filmmaker Raymond Red, moderator Axel Estein and film educator and critic Edward Cabagnot. Photos by Peter Fischer, Exground Filmfest. 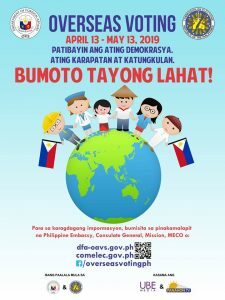 To accompany the screening of Philippine Films, two panel discussions and a lecture have been included in the program. “100 Years of Philippine Cinema” touched on the history of Philippine cinema and addressed important issues like nation building under the constant threat of cultural and identity loss. Panelists included QCinema International Film Festival Director Ed Lejano, celebrated filmmaker Raymond Red, and film educator and critic Edward Cabagnot. It was moderated by German film programmer and journalist Axel Estein, who curated the Philippine lineup for the festival. Consul Cathy Torres and Cultural Attache Mylah Rubio of the Philippine Embassy in Berlin attended the event. The panel noted that Philippine cinema is undergoing a third ‘golden age,’ with advances in digital technology creating a burgeoning indie scene. The question, now, was what would come next. Consul Torres suggested that aside from looking to the other regions of the country for yet untold stories, the Filipino diaspora is another potential goldmine of film material and talent. On 24 November, the panel on human rights will focus on the country’s situation and the broader socio-political and historical context. Panelists will include photo journalist Raffy Lerma, anthropologist Dr. Rosa Cordillera Castillo, filmmaker Kiri Dalena, and will also be moderated by Mr. Estein. A lecture on the same subject will also be given in German on 22 November by Amnesty International‘s Dr. Jochen Range. 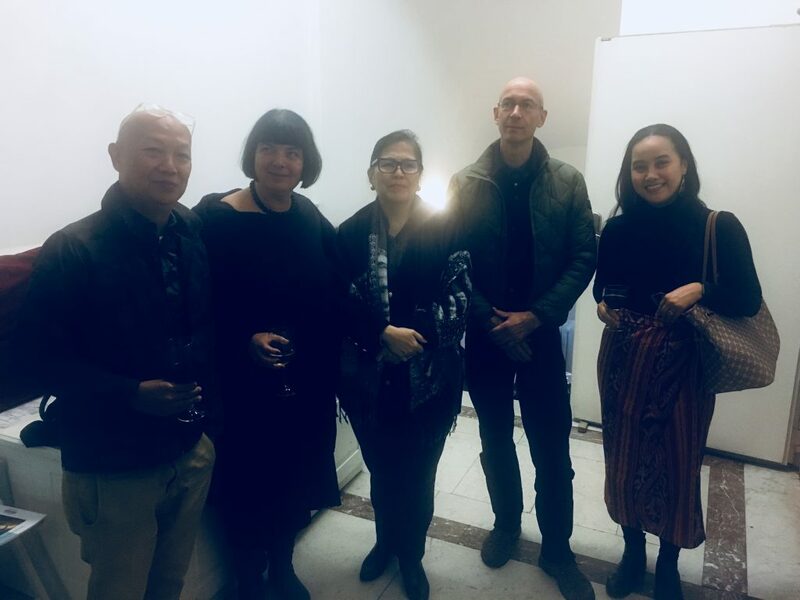 Consul General Evelyn Austria-Garcia(middle) of the soon to open Philippine Consulate General in Frankfurt, attended the Philippine Night hosted by the Film Development Council of the Philippines (FDCP) at the Nassauischer Kunstverein. She is joined by (L-R) QCinema International Film Festival Director and Film Development Council of the Philippines´(FDCP) Representative Ed Lejano, Exground Filmfest Organizer Andrea Wink, German film programmer and journalist Axel Estein, and First Secretary and Consul Catherine Rose Torres of the Philippine Embassy in Berlin. Meanwhile, a Philippine Night was organized at the Nassausicher Kunstverein on 21 November, where the works of Lerma and Dalena were shown alongside that of another Filipino artist, Martha Atienza. Speaking at the event, Consul General Evelyn Austria-Garcia of the soon to be reopened Consulate General in Frankfurt highlighted that the Philippine government values the creative and independent minds of Filipino filmmakers.